The Aeropress may look like a complicated brewing equipment, but it’s actually an easy and fun way of making coffee at home. 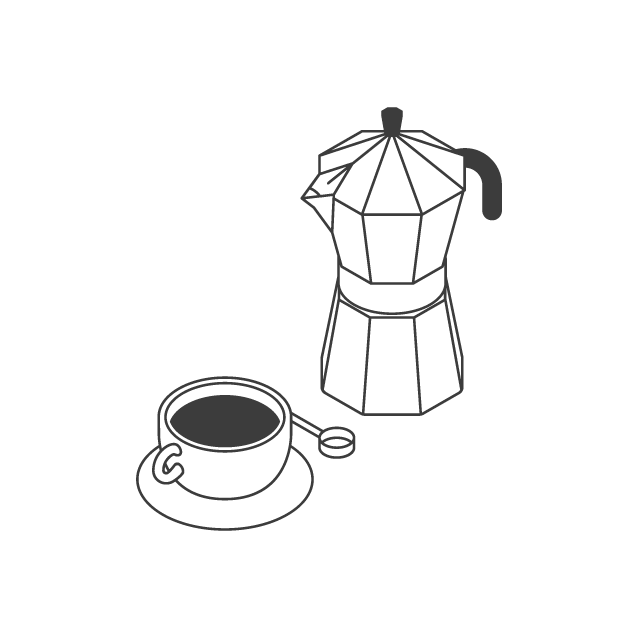 We think that using a single origin coffee works great with this method. 1. 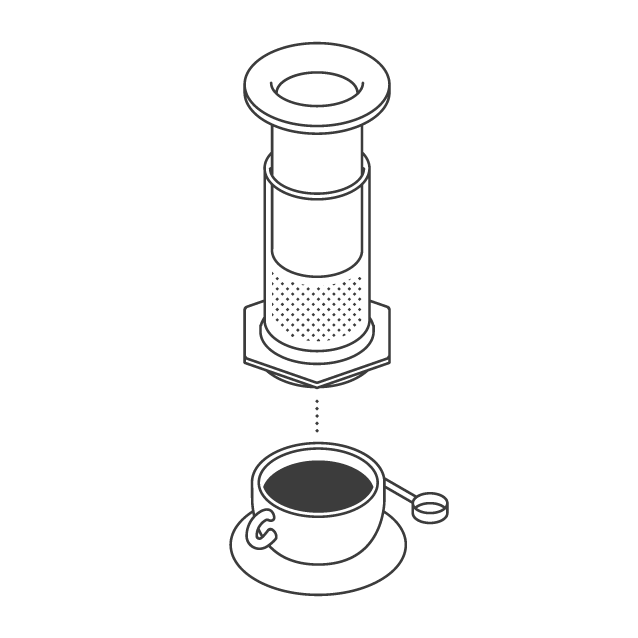 Connect the 2 parts of the Aeropress and extend to full length, then stand upside down (inverted). 2. Place the paper filter inside the black cap and rinse with water to get rid of any residual paper taste. 3. 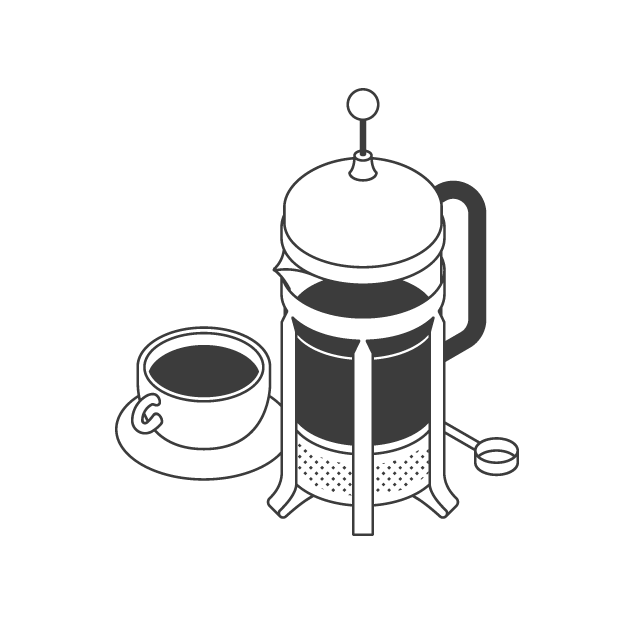 Grind your coffee quite course, n°5 and add to Aeropress. 4. Heat up your filtered water. Then pour 220g onto the coffee quickly, trying to wet all grinds. 5. Give the mixture a good stir. 6. After 1.5 minutes, tightly screw on the black cap with the filter inside. 7. Flip Aeropress over and place on top of your mug. 8. Plunge the top part of the Aeropress for approx. 30 seconds until all the water has passed through the filter. 9. 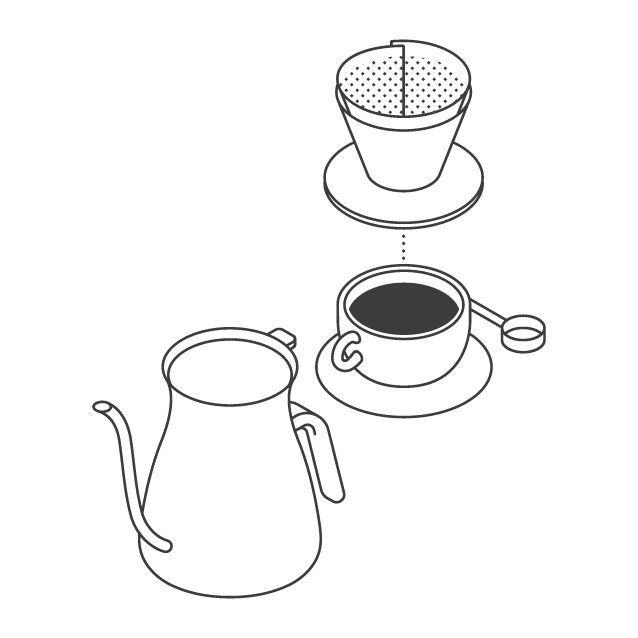 Take Aeropress off the mug, screw off the filter cap, pop out the coffee puck and rinse.